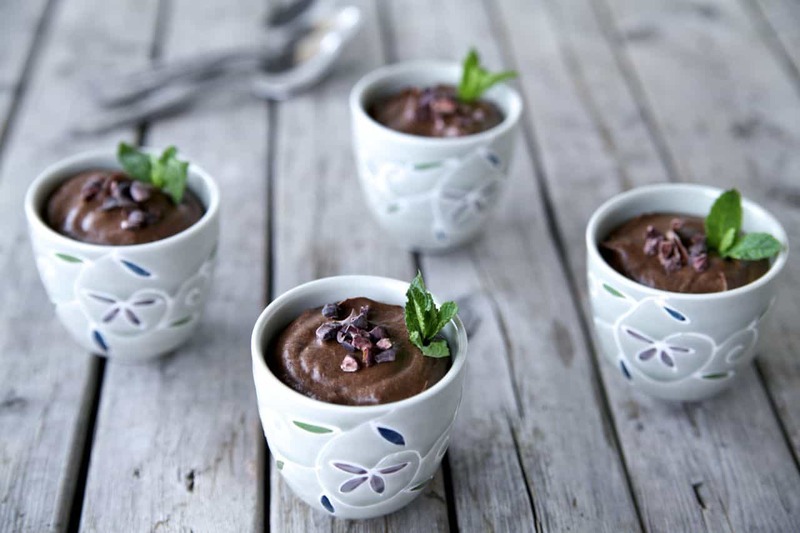 I am not a dessert person at all, but this is quite delicious and nutritious too and it’s easy to play with the quantities to create your preferred version. Its rich creamy texture and chocolaty taste ensures for smiles all round, especially on AdventureYogi retreats after a few days of healthy sugar free meals! 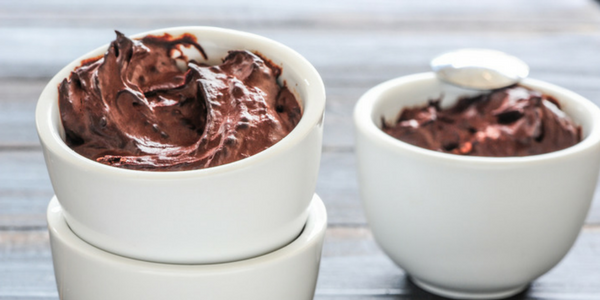 This chocolate mousse makes guilty pleasures a thing of the past! You can add cashew cream and more lemon to create a texture like that of a cheese cake and add it to an almond and date base to make your very own raw chocolate avocado cheesecake. YUM! – The theobromine naturally found in raw cacao is a mild, non-addictive stimulant that some believe can treat depression. It may cause the brain to produce more of a neurotransmitter called anandamide, which would account for the euphoric sensation some feel when indulging in chocolate. – Cacao beans contain natural chemicals called flavonoids, a type of antioxidant compound that promotes general health and might lower your risk of several diseases. One type of flavonoid, called anthocyanidin, is especially high in cacao beans. Anthocyanidins are also found in green tea, red wine, and black tea however studies have shown the levels of these anti-oxidants to be higher in cacao than of the other substances. – Cacao beans constituted both a ritual beverage and a major currency system in pre-Columbian Mesoamerican civilizations. At one point, the Aztec empire received a yearly tribute of 980 loads of cacao, in addition to other goods. Each load represented exactly 8,000 beans. The buying power of quality beans was such that 80-100 beans could buy a new cloth mantle. The use of cacao beans as currency is also known to have spawned counterfeiters during the Aztec empire! – There are three groups of cacao beans used in the manufacture of chocolate, the most prized, rare, and expensive is the Criollo group, the cocoa bean used by the Maya. Only 10% of chocolate is made from Criollo, which is less bitter and more aromatic than any other bean. – Cote D’Ivore produces the largest quantity of cacao beans of any country in the world, around 1,300,000 metric tons per year of the Forastero group from which 80% of the words chocolate is manufactured. In a food processor blend everything except the milk and chia seeds until smooth. In the mean time allow the chia seeds to soak in the milk then combine the two mixtures in the food processor and further blend until smooth. Leave the mixture in a glass bowl to set in the fridge for an hour or more – you can eat it immediately which is usually what happens, or at least some pretty intense tasting. You can decorate it with little cubes of avocado, and some fresh or frozen berries of your choice.